A French fireplace screen was hand carved of solid beech in the 1890's. The central panel is hand stitched needlepoint and pettipoint with brass nailhead trim. 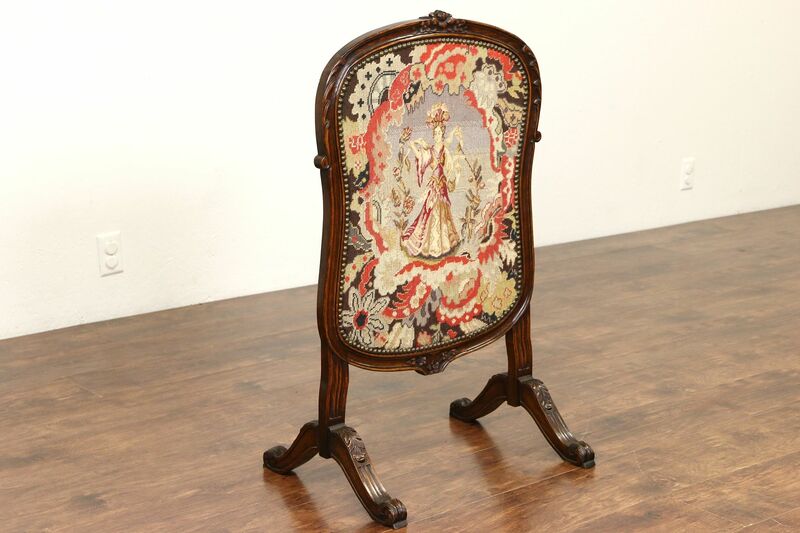 Richly detailed, the frame has its original finish in very fine condition. Waxed and buffed, all that is needed to maintain the warm patina is an occasional wipe with a soft dry cloth. This antique furniture was used to block excessive heat from a fireplace or to cover it when not in use. Measurements are 22" wide, 16" deep and 36" tall.